This formal dress belonged to a member of the Cadbury family, eminent Quakers and chocolate manufacturers of Birmingham. 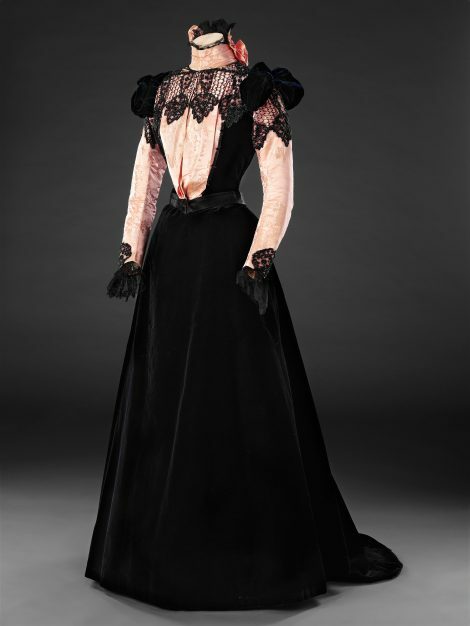 After several years of fashionable overblown opulence, the dress presents a neat silhouette with broad shoulders, slim sleeves, small waist, and an untrimmed skirt with defined hips flaring gracefully down into a short train. 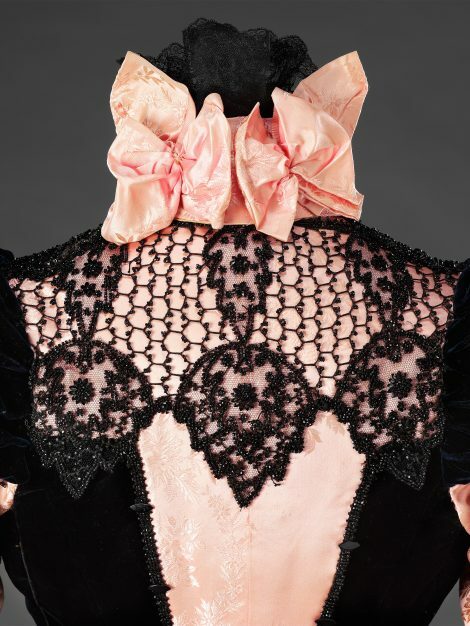 It relies for its impact upon the strong contrast of the rich, deep navy velvet and the sugar pink silk self patterned with garlands and baskets of small flowers and foliage, dramatically overlaid with beaded net and mesh. 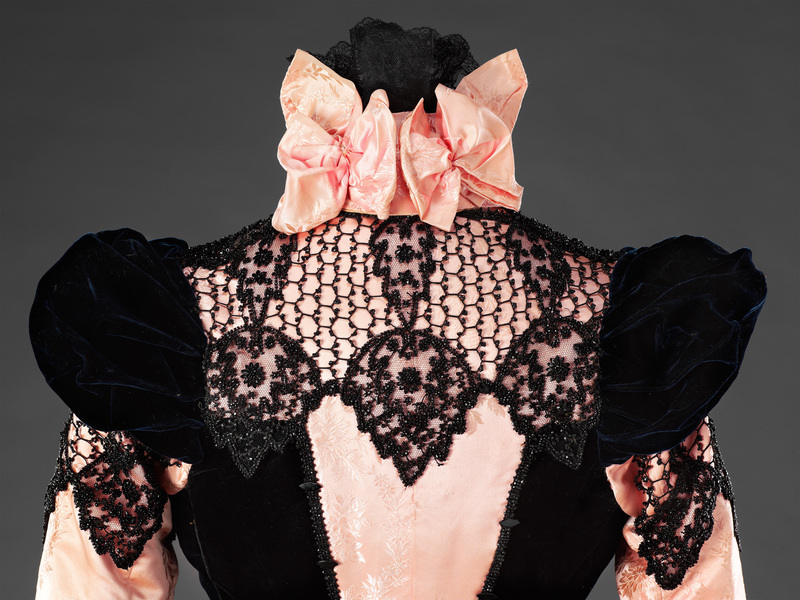 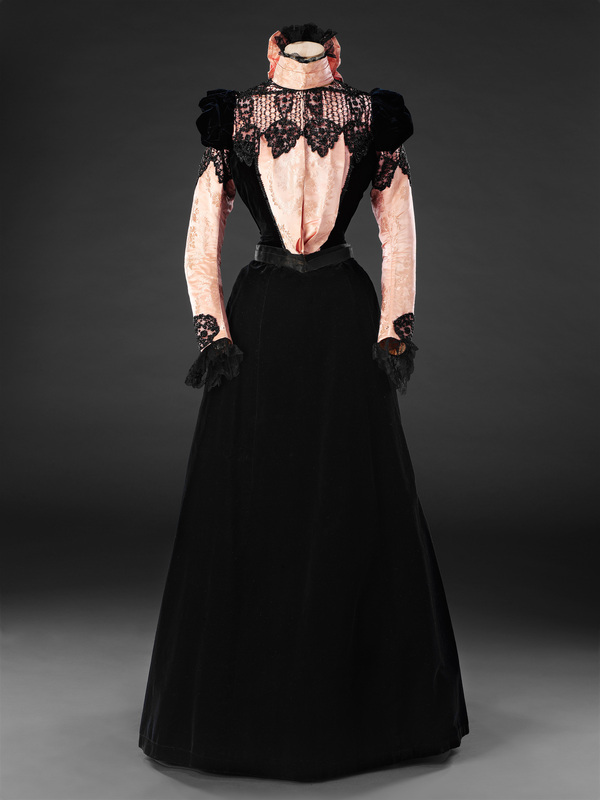 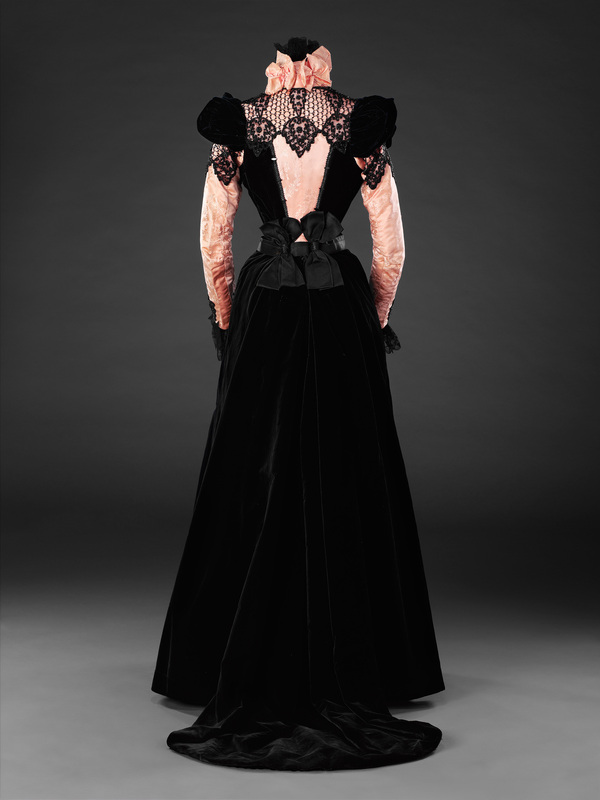 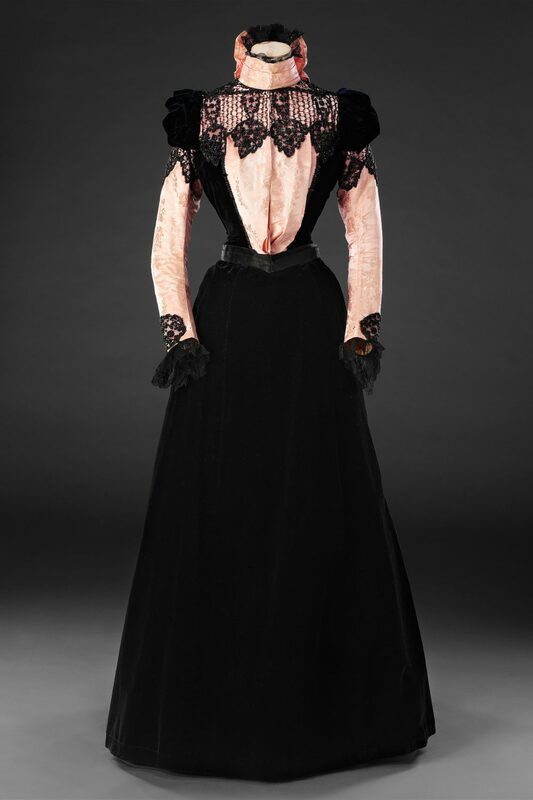 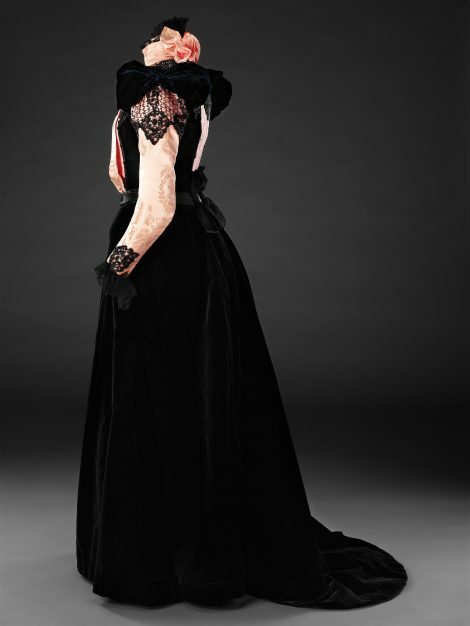 Further decoration is limited to a flattened double puff of velvet at each sleeve head, gathered silk at the back of the neck, softening the high collar, a vertical bow of black ribbon each side of the centre back waist, and fine black lace at the wrist and neck.